The objective of the OTHM Level 6 Diploma in Health and Social Care Management qualification is to equip learners with the underpinning knowledge, understanding and skills required for a career in the health and social care sector at a managerial level. The programme enables learners to demonstrate their skills by producing evidence from their work activities, to meet national occupational standards. Learners will acquire care management skills in the Health and Social Care sector. All units within this qualification are internally assessed by the centre and verified by OTHM. The qualifications are criterion-referenced, based on the achievement of all the specified learning outcomes. To achieve a ‘pass’ for a unit, a learner must have successfully passed all the learning outcomes for that unit. Successful completion of Level 6 Diploma in Health and Social Care Management qualification provides learners the opportunity for a wide range of academic progressions including progression to relevant OTHM Level 7 Diplomas. ** The fee includes registration, assessment, and certification. There are no other hidden costs. Dr Amoakwa is an experienced Primary Care Researcher. He has worked for the Primary Care & Palliative Care (PCPC) Research Group Hull York Medical School. Dr Amoakwa has many years of experience in teaching, research, and consultancy. 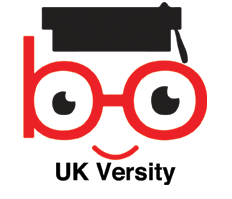 At UK Versity, Dr Elvis is the Course Leader for Health and Social Care Courses.